Time flys. As we are trying to put together our next round of flower lessons for Little Flower School, we have been sifting back through the past few classes and admiring student work. 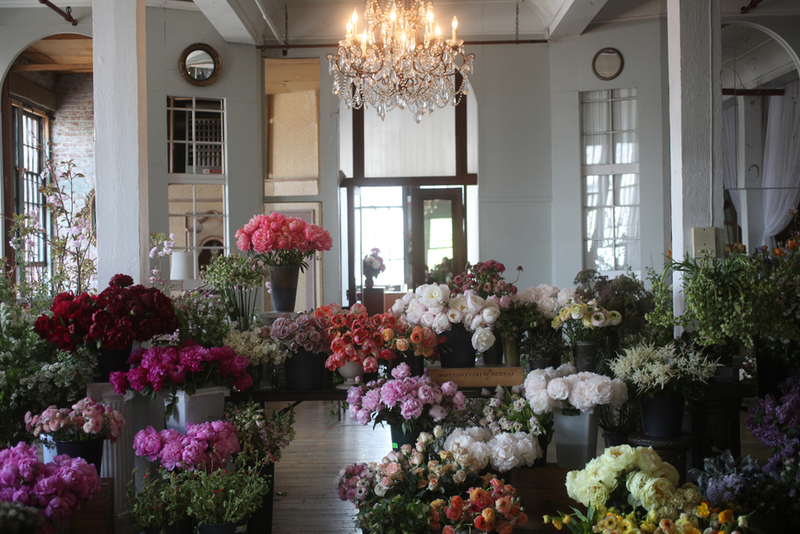 These photos are from our blowout Peony Class in mid May. With seasonality, we learn to embrace the peony for only a short time each year. It's brevity is part of it's sensational appeal. We anticipate it's arrival in May and enjoy it through mid June. People want peonies all year round, and just like a tomato, there are ways to get them, shipped in from other parts of the world. But they are just not the same when they are chilled, packed flat shipped to us. Not the same. All that preaching we do...and then suddenly it's mid May and there are no local peonies blooming yet, and our Ode to the Peony class is a few days away! Who could ever have predicted the freezing cold spring we had in the North East this year. Out the window went our plans to visit Styer's infamous peonies bushes to collect material for class. They were weeks away from bloom still. Suddenly we were on the horn calling in orders for dutch peonies and product from South Carolina. So it goes. I mentioned we're throwing around ideas for new Little Flower School classes for late summer, fall and winter. 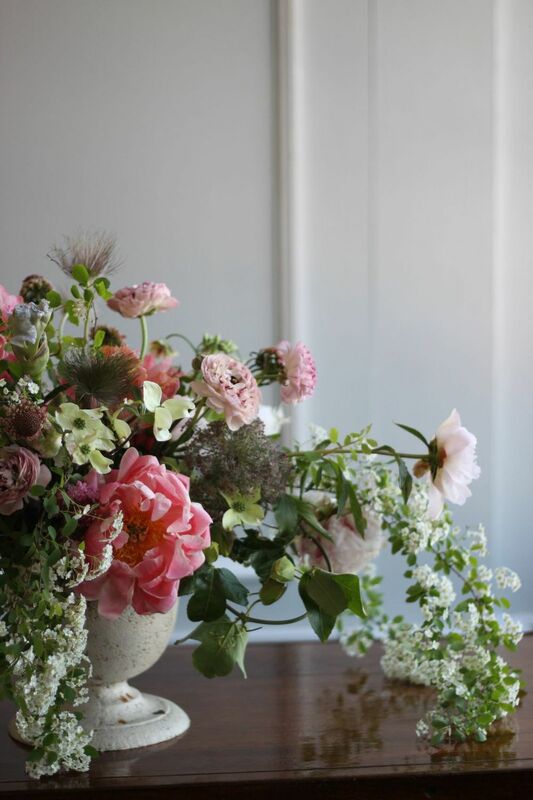 We're planning an Oregon trip for August (fingers crossed the details work themselves out) a class up at the farm at Worlds End on making giant urn arrangements, and a big Dahlia blowout class in NYC this september. We'll have them available by the end of this week.